Flowing curves mixed with masculine lines, Evoque is perfectly balanced for the luxury bathroom. 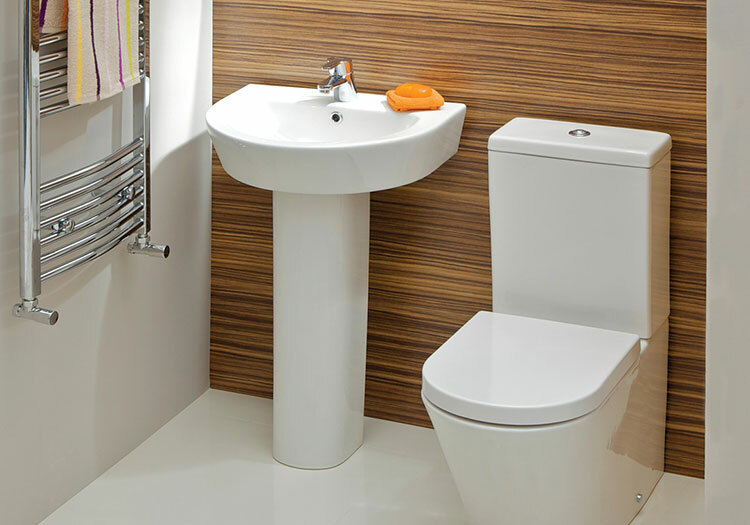 With a fully shrouded WC for minimalist lovers and a soft closing seat as standard, specifications match function and form. Price includes Fully Shrouded WC with soft close seat & cover. Basin W550 x D440 1 tap hole and full pedestal. Choose one of three mono basin mixers to complete your suite!